If you’re looking for Tuesday night plans, we’ve got some. Tokyo Police Club are returning to Mercy Lounge to rock you with their unique blend of indie garage pop. Look for experimental indie/folk rockers From Indian Lakes to kick off the evening of live entertainment. The music starts at 8 pm (doors at 7), and tickets are still available for $23. For more information on the line up, please feel free to click on, and either way we hope to see you at show! Sometimes called post-punk revivalists, Tokyo Police Club have an amazing ability to blend genre effortlessly, dabbling in alternative, indie and pop rock as well. The quartet from Ontario have been at it for a decade now, and their 2014 release, Forcefield, was in heavy rotation around our offices. Now they are back with fresh tunes, in the form of a new EP entitled Melon Collie and the Infinite Radness: Part One, which is an obvious homage to the similarly titled double LP from grunge era legends The Smashing Pumpkins. Always present on the new tracks is the band’s good-natured sense of humor (like the mentioned title pun), and their ability to have fun, while keeping their music fresh and vibrant. See for yourself tonight at Mercy, and kick your week into overdrive. Birthed from the mind of California multi-instrumentalist Joey Vannucchi, From Indian Lakes has elements of folk, indie, and alternative rock that draw listeners in instantly. On the records, Vannucchi does all the writing, instrumentation, and production himself, but he truly shines with his touring band, which is backing him up in the warm-up spot tonight. Be there for both acts to assure the most music for your hard earned dollars. 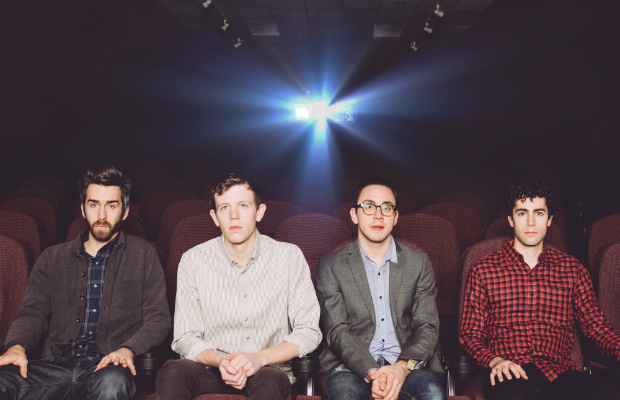 Tokyo Police Club, and From Indian Lakes will perform TONIGHT (May 3) at Mercy Lounge. The show is 18+, begins at 8 p.m. (doors at 7 p.m.), and tickets are available to purchase for $23. Trombone Shorty Announces Marathon Music Works Date On November 28th!